It’s not all about the Wild Atlantic Way, you know. If you need proof that the rest of the country hasn’t just gone away, and ceded control of the tourist dollar to Dublin and the WAW, then you need to take a trip to the Waterford Greenway. We turned up at Coach House Coffee, just outside Kilmacthomas, to see what was happening on the WG. The answer is that all human life was there. At 11 am in the morning. Craig, Stephen and all the team in CHC were getting hammered. It was jammers. There were wiry oul fellas with all their bike kit, grey-haired and super-duper-fit. There were babes in arms, except these were babes-in-carrier-seats on the back of Mom’s bike. There were groups of singletons, who may have been on a stag or a hen party. There were kids. There were kids with their parents. There were more bike helmets than you see outside the Tour de France. It was a Cycling Eucharistic. The scene at Coach House was phenomenal. It was a phenomenon. Ask anyone in business if there is a way to create something that will attract literally every demographic, and they will tell you that it is impossible. But the Waterford Greenway gives the lie to that. We have never, over the last 30 years, seen such an array of people of all ages. And all of them on a bike. 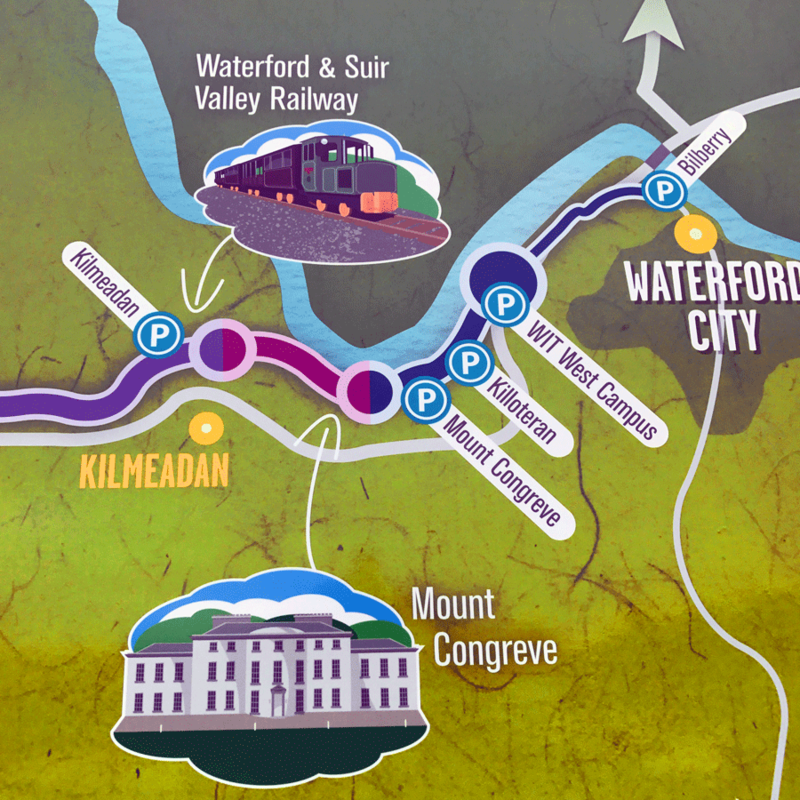 The Waterford Greenway, all 46 kilometres of its, from Waterford to Dungarvan, gives hope for mankind.